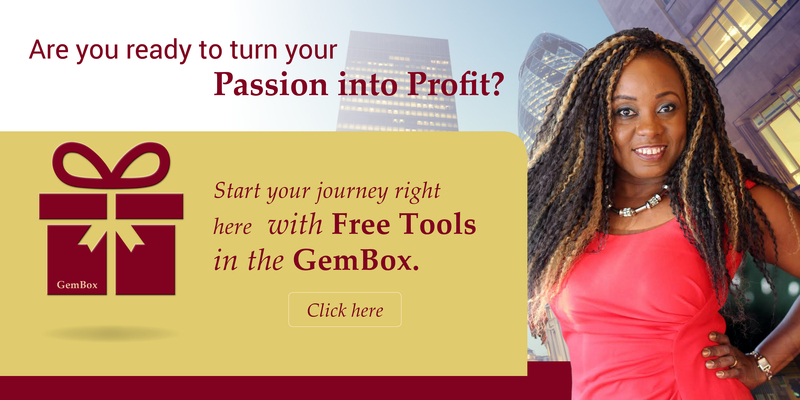 SUBSCRIBE TO THE PMP GEMBOX! Subscribe to gain immediate access to bonuses, downloads & resources. Passion + Purpose = Solutions! Now you have the opportunity to “package your passion” merge it with your lifestyle, pursue your purpose and create another revenue stream in your own life, the bonus is, you actually do what you truly love. You can actually get paid to do what you love! At the Package My Passion Academy you will learn the EXACT steps on how to turn your passion into profits! Create a Business, a Product, a New Career Path, a Service, an Event, a Social Enterprise, a Workshop, a Digital Product, a Book, a Lifestyle or a New Income Stream. Not sure of WHAT your passion is? No problem. We’ll reveal to you the step-by-step secret steps to uncover what you are most passionate about, as well as your own inner talents and gifts! When you find what you are deeply passionate about, you’ll not only transform your own life (and income), but it will also add greater value to those around you and the world at large. You will become deeply fulfilled in your life with pure happiness! Should I Develop My Strengths or Weaknesses? The Package My Passion Academy is your ticket to the lifestyle you deserve. My goal is for you to get your hands on this vital information so you can not only discover your passions, but also learn how to profit from them. Need more information? Click here to get in touch.